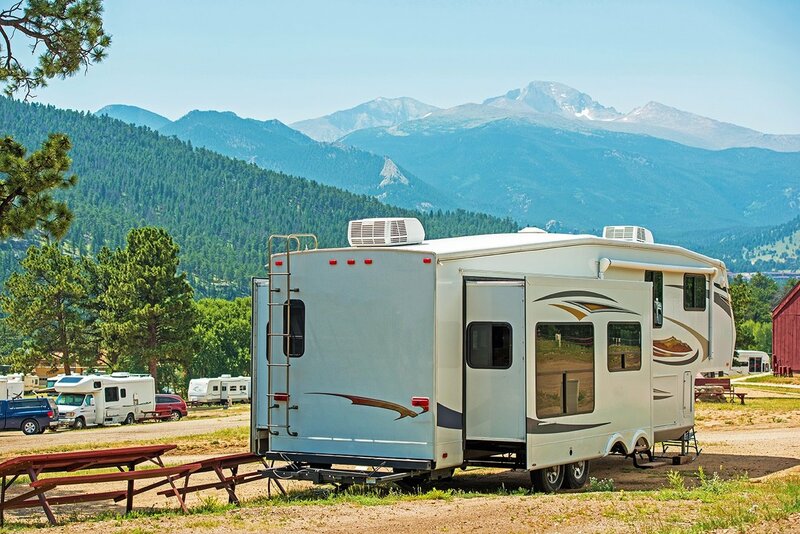 Fifth wheels are a popular choice for RVing because they offer ample space, split-level floorplans and top-of-the-line amenities. 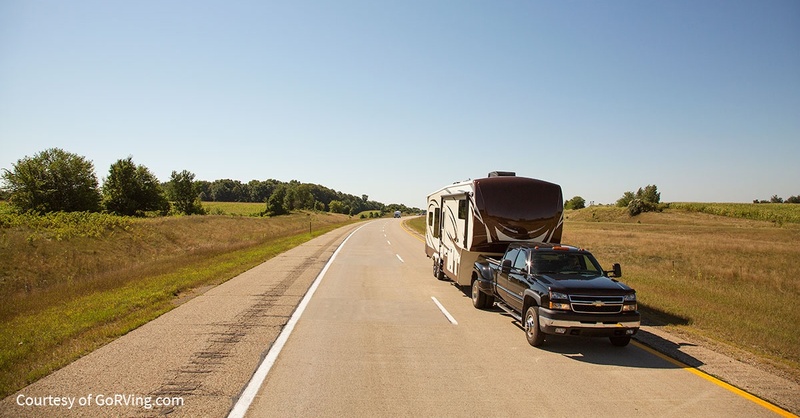 However, fifth wheels must be towed by a pickup truck, and they require a special hitch mechanism to connect to your tow vehicle. Here are four questions you should ask when shopping for a hitch. Remember to bring your truck with you! Your dealership will have knowledgeable staff on hand who can direct you to the most appropriate hitch for your needs. 1. What is the towing capacity of my truck? When you are shopping for a fifth wheel hitch, the first thing you should learn is your truck’s towing capacity. If you install a hitch that is not rated for your truck and fifth wheel, you can risk severe damage to your vehicles and injury to yourself and others. Check the owner’s manuals for your pickup and your fifth wheel to learn their Gross Vehicle Weight Rating (the allowable weight of the fully-loaded vehicles, including passengers, fuel, accessories and any gear/equipment packed into it). You should also reference tow guides to learn your vehicle’s tow limit. 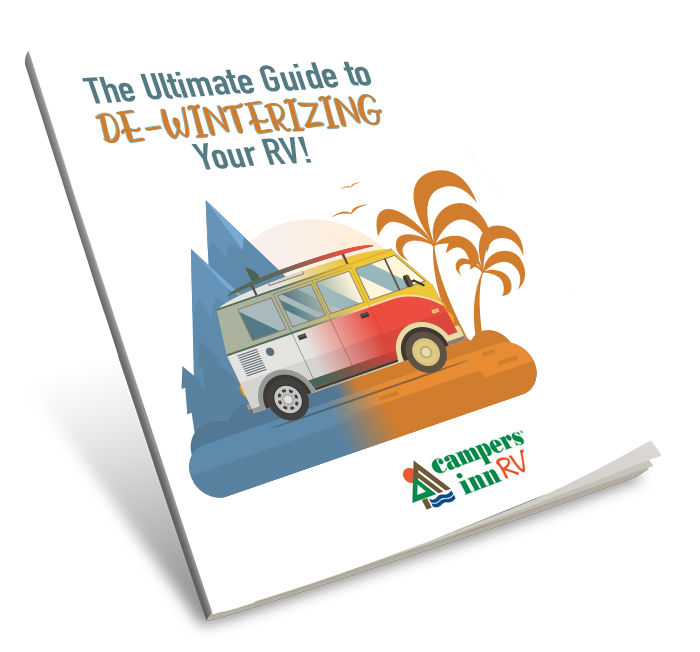 Bring this information to your local RV dealership so they can help you find the right kit for your needs. 2. How does a hitch attach to my truck? Traditional rail system: rails are installed in the truck bed, and the hitch is attached to the rails. Under bed mount: mount is installed underneath bed to keep it clear when not towing. Hitch is placed on bed and attached to mount below. If you are ordering a new truck, ask if this is an option you can have installed. Gooseneck mount: mount installed underneath truck bed, and only the ball hitch is above the truck bed. Your fifth wheel may require an adapter. 3. Do I need a slider hitch? You may need a slider hitch if you have a short bed pickup truck. A slider hitch helps improve your ability to safely turn and back up when you have a shorter bed. The hitch will slide backward, so the fifth wheel can clear your truck’s cab when turning. Slider hitches are available in manual and automatic varieties. Ask your dealership which is right for you. 4. What other accessories do I need? Bed saver: installs on your hitch to catch pin and protect truck in case fifth wheel drops. Brake control: this electronic device will trigger your trailer’s brakes when you apply brakes in your tow vehicle. Towing mirrors: when driving, you need to be able to see the back corner of your trailer, so extended towing mirrors are a must if your current mirrors are unable to accomplish this. Rear observation camera: fast becoming a standard inclusion, a rear observation camera will help you avoid obstacles while you are backing up. Do you have your fifth wheel hitched up? Looking for your next adventure? Download our free ebook, 6 Epic Road Trips, today!